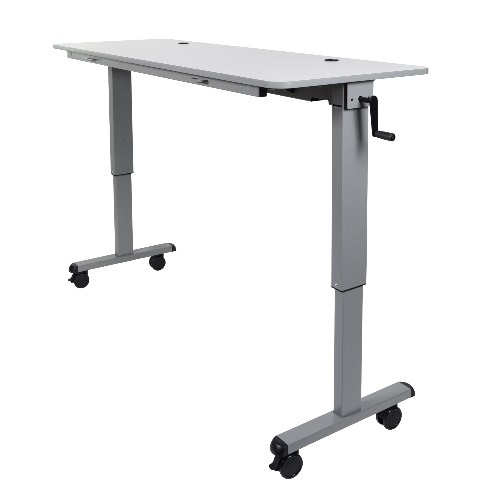 Multipurpose sit/stand desk that’s perfect for schools, training rooms, or general office use. The convenient crank handle adjusts the table height from 30″ to 42.25″ to accommodate a range of seated or standing users, while 3″ locking casters allow easy mobility. Adding to its versatility, each table can be neatly folded for space-saving storage using two pull-handles that flip the table into a nesting position.